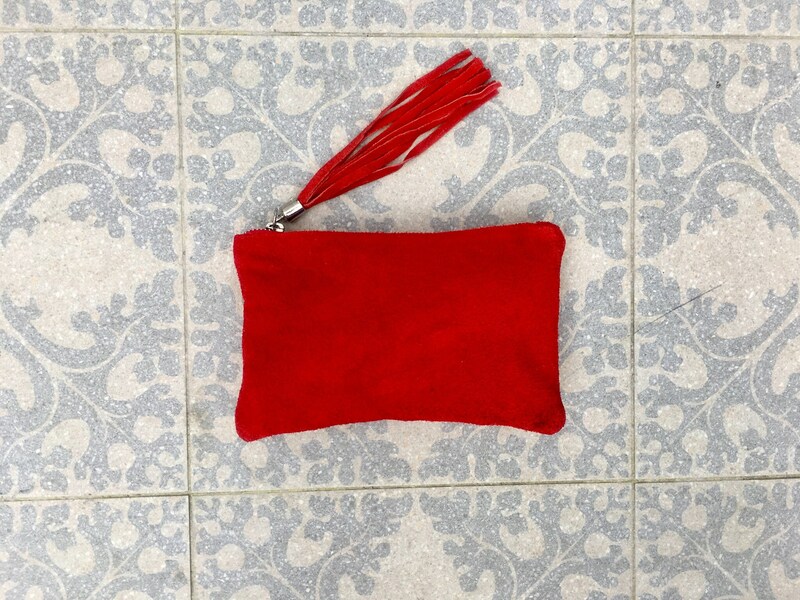 Small genuine suede leathert small bag in RED. 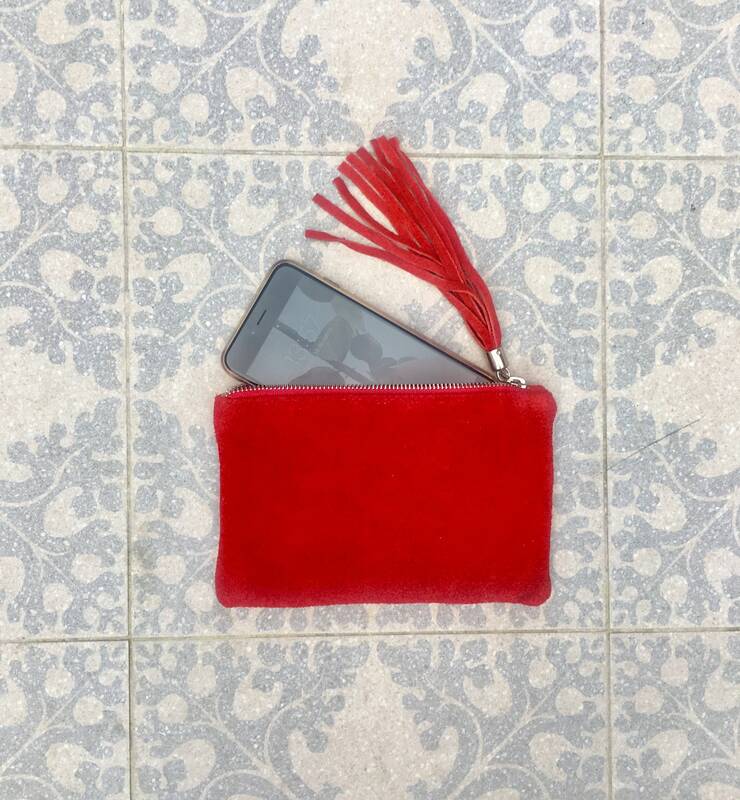 Party bag with large tassel. 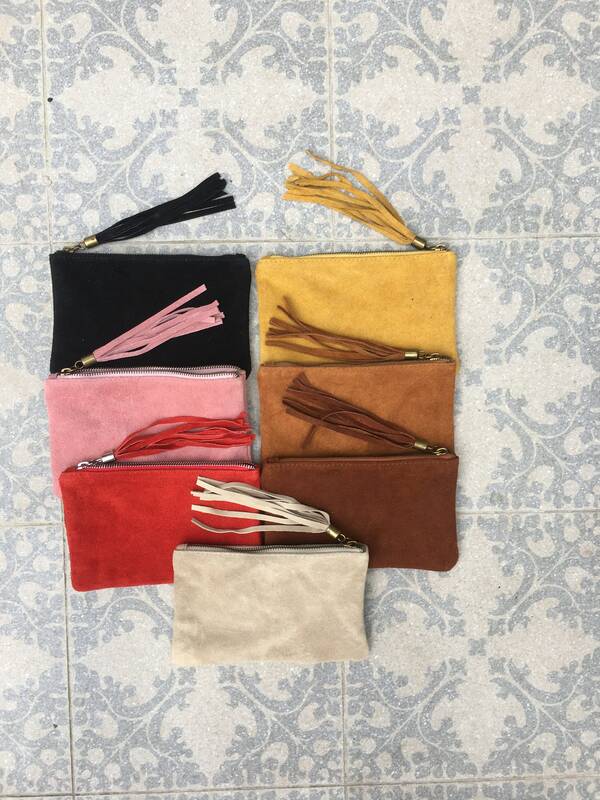 Soft suede clutch, phone , cosmetics or make up bag. 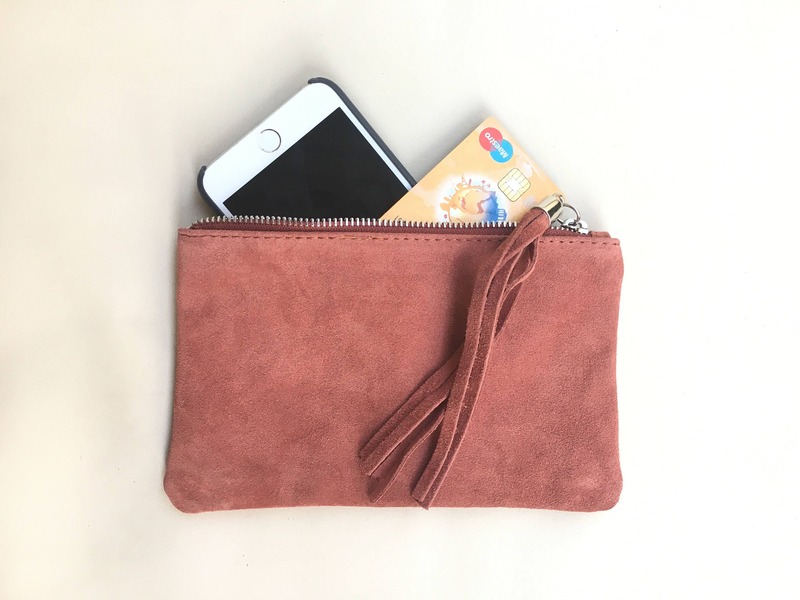 Large purse or small bag in powder pink made with soft suede leather. 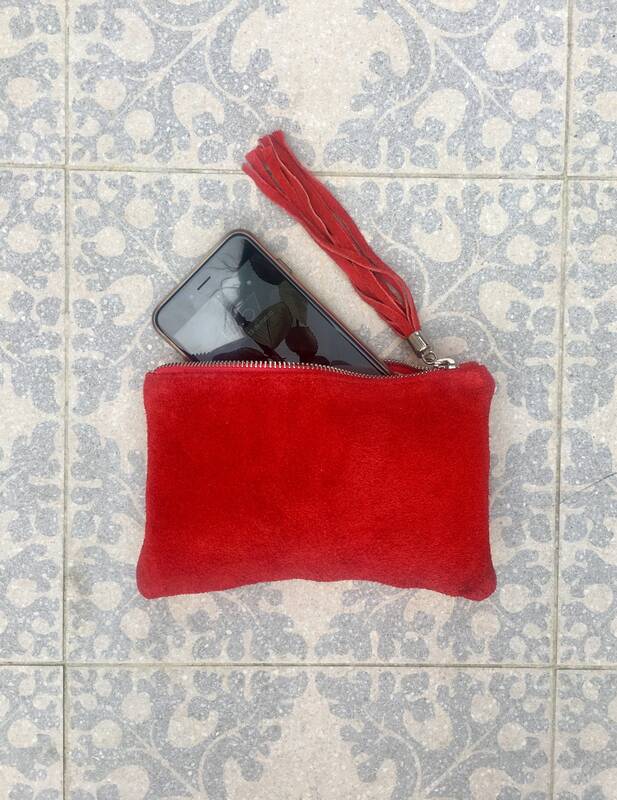 Closed by a zipper. Lined in a strong contton nylon mix beige fabric.